The Federal Government has proposed a total of N8.73tr for 2019 budget, just as it planned to submit the Medium Term Expenditure Framework (MTEF) to the National Assembly soon. The figure represents a slight reduction compared to the 2018 budget of N19 trillion. Minister of Budget and National Planning, Udoma Udo Udoma, disclosed this Wednesday while addressing State House correspondents in Abuja, at the end of the weekly Federal Executive Council (FEC) meeting. Mr. Udoma explained that FEC has put the benchmark of crude oil price (Nigeria’s economic mainstay) at $60 per barrel while the exchange rate is pegged at $305. It projected a daily crude oil production as 2.3m barrels per day. The Minister added that the MTEF for 2019 to 2021 has been approved by FEC, adding that it would soon be submitted to National Assembly (NASS) for further consideration. The figure for the 2018 Appropriation Act as signed into Law by President Muhammadu Buhari stands at N9.12 trillion. 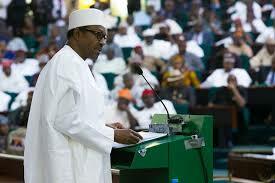 The 2018 budget suffered delay at the National Assembly for a period of 8-months.